My nephew graduated high school last week! I wanted to give him some cash, so I made him a money holder. I designed it in Silhouette Studio so that it would create a pocket that was the right size to hold the money. 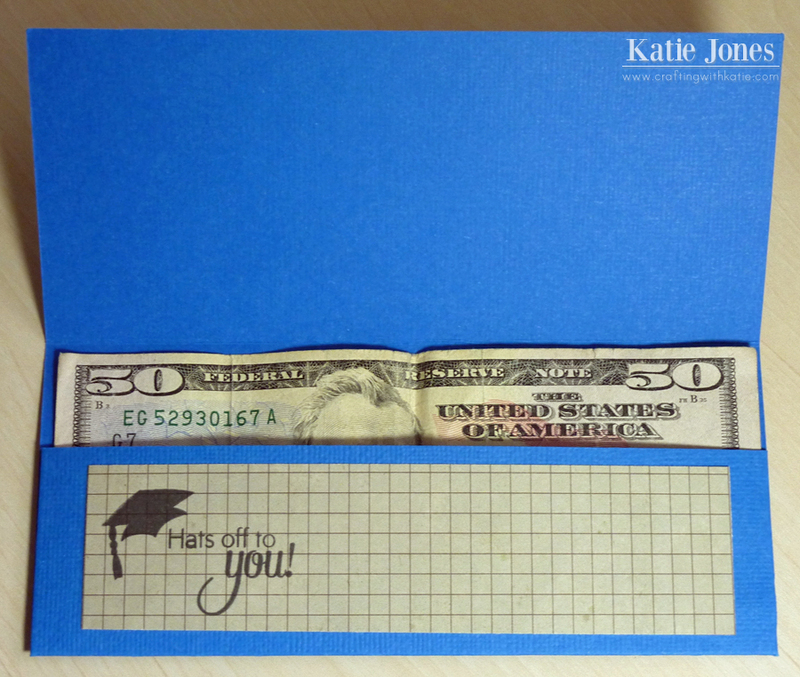 The bright blue cardstock was a pretty good match for his cap and gown. I used patterned paper from Fancy Pants Off to School collection. 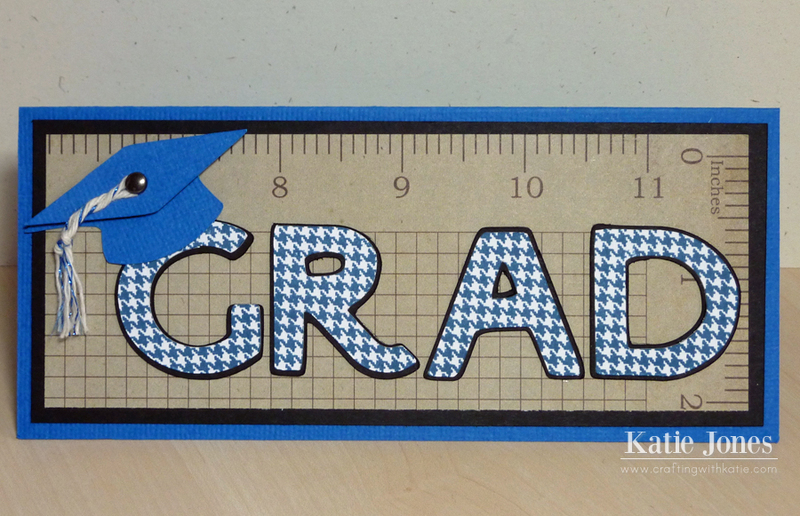 "GRAD" is cut at 1.3" using Cricut Craft Room Basics. I cut the top layer in white, but it just didn't look right against the patterned paper. 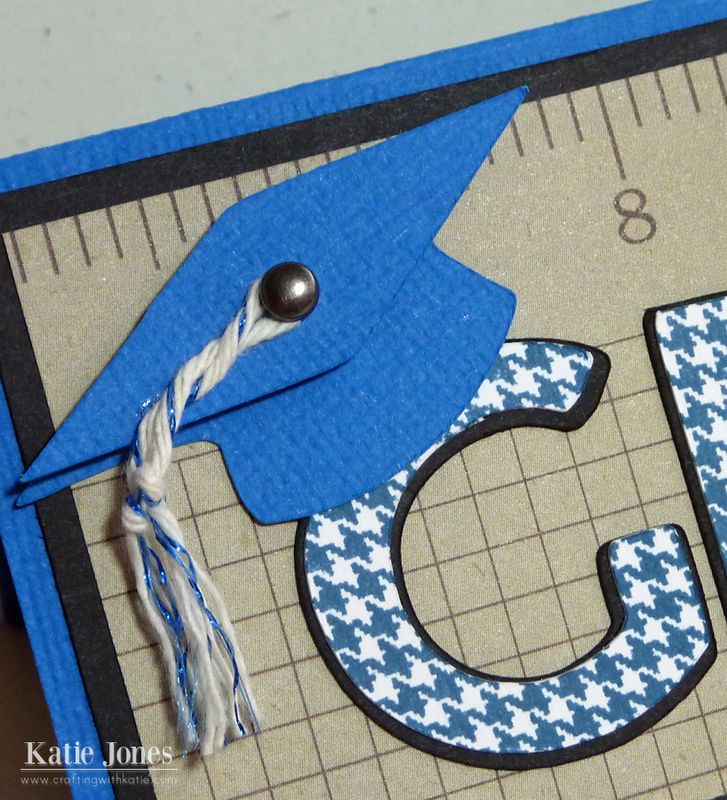 So, I stamped a houndstooth pattern from My Creative Time's Build a Banner Kit, using Enchanted Evening ink. Perfect! 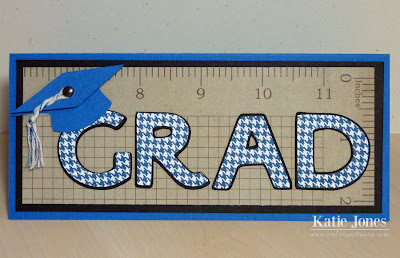 To make my cute little graduation cap, I cut it at 1.3" from the Cricut Recess cartridge, but I didn't use the tassel layer. Instead, I added a brad and some twine, which I adhered to the top of the cap with some Glossy Accents. On the inside, I added another strip of patterned paper and stamped a sentiment and cap from MCT's Here's Lookin' at You, leaving some space to write a message. Then I popped in a little money for him to bring along to Johns Hopkins in the fall! Looks great. Love the papers. Good idea to stamp the letters. Super cute card, Katie! Love the background stamping on the letters! 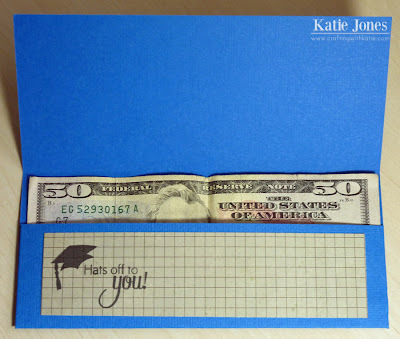 Great grad card ideas. To stamp the letters was a perfect idea...so manly and looks perfect. Your tassel is cute. Wonderful card.